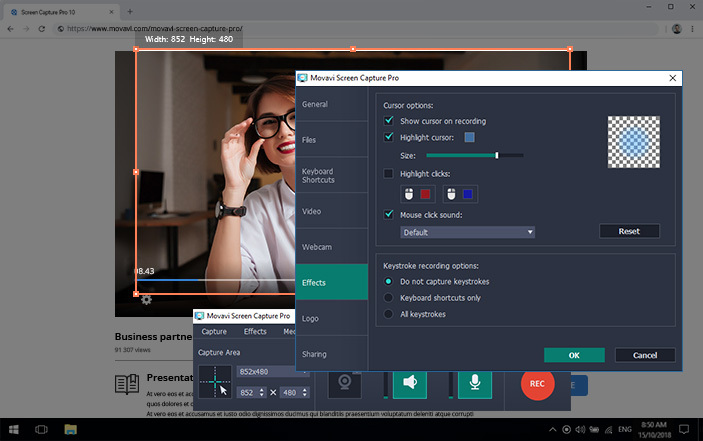 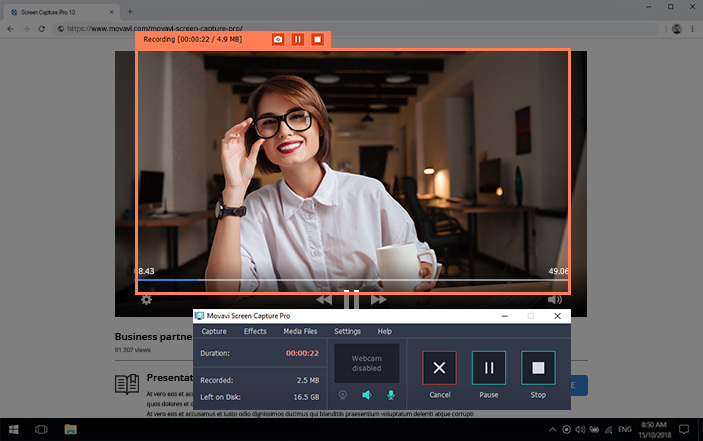 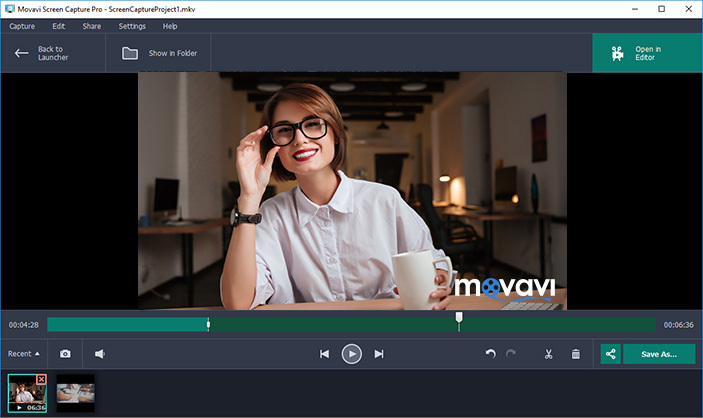 Movavi Screen Capture Pro lets you quickly show colleagues what’s happening on your desktop using video and screenshots instead of wordy descriptions. 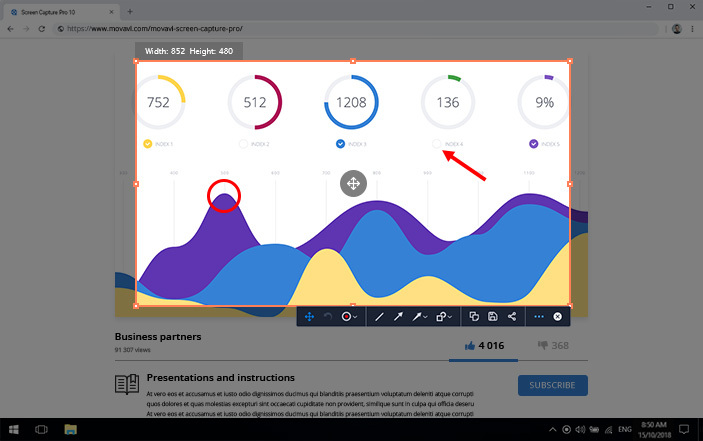 Record web-based job interviews, conference calls, and usability tests for later analysis. 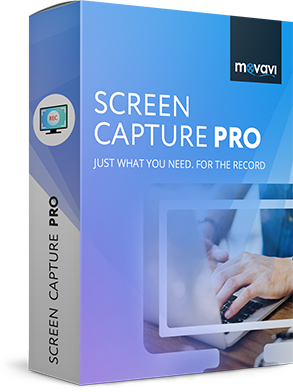 Disclaimer: Please be aware that Movavi Screen Capture Pro is not intended for use with copy-protected media content. 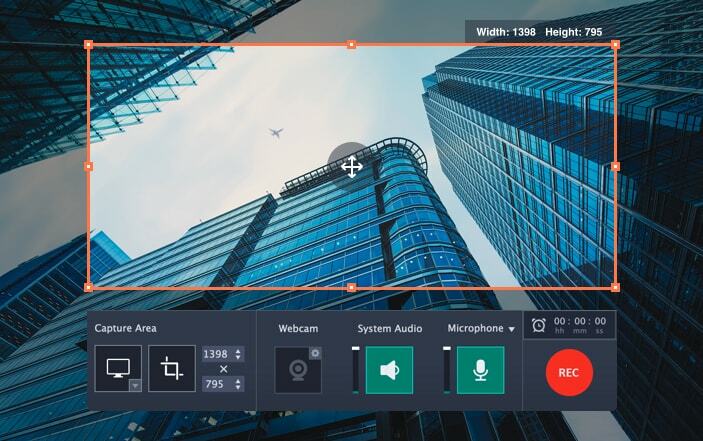 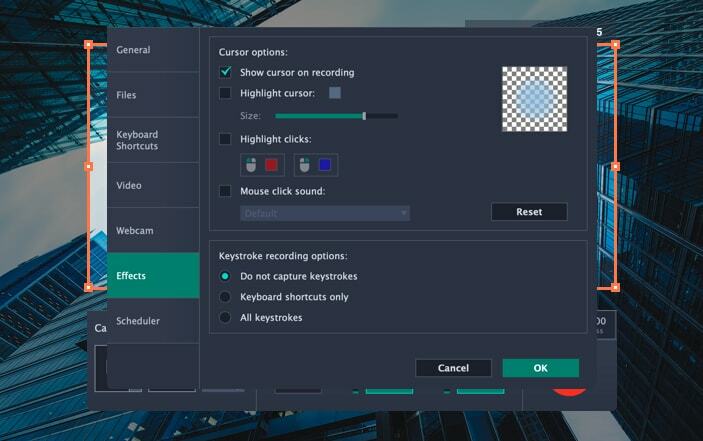 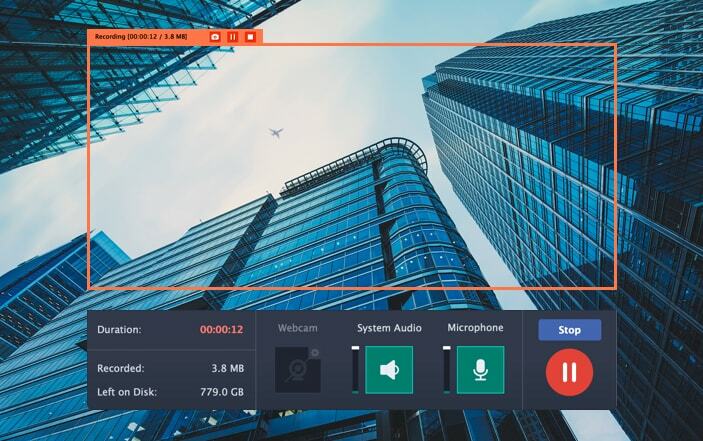 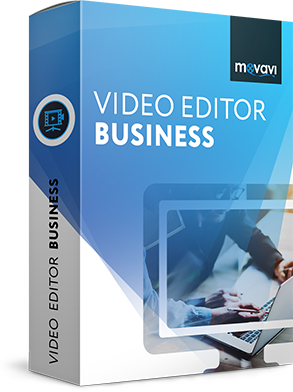 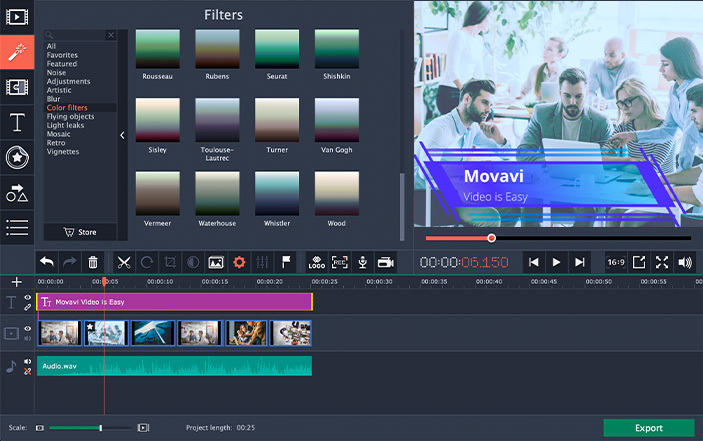 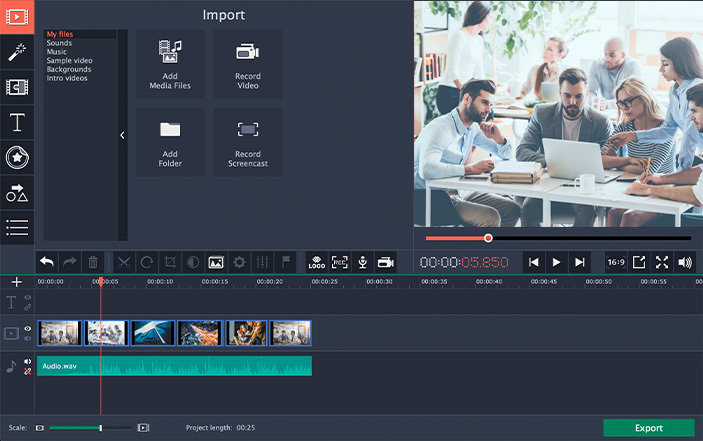 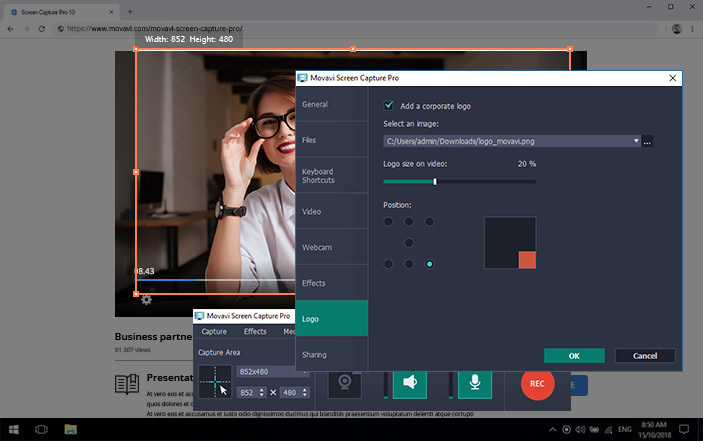 Movavi Video Editor Business is both a lightweight screen recorder and a powerful video editor. 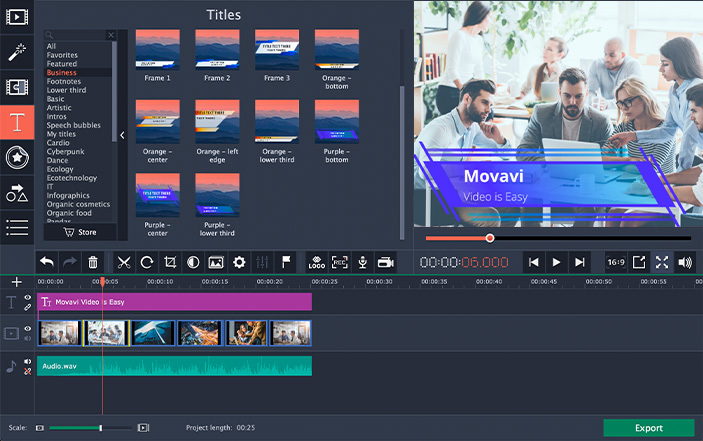 Grab any screen video you want and create complete clips: tutorials, speedpaints, video blog content, and much more.